I’d always passed this salon on the way in to university each day, apart from the funny name I’d never really paid it too much attention. 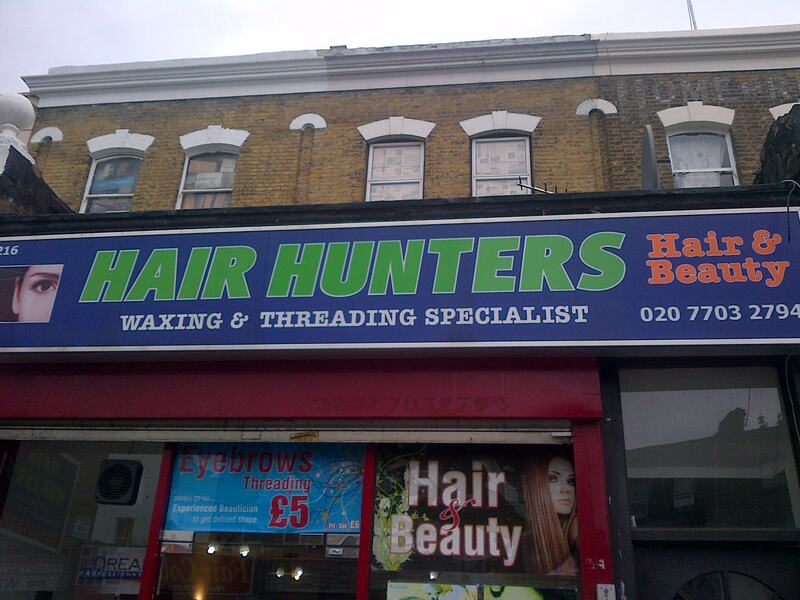 ‘Hair Hunters’: it wasn’t the sort of establishment that I would visit, no no. Not with a name like that. It was only when my flatmate went there to have her bits and pieces waxed and came back with a glowing review, did I consider going there to have my own job done. No appointment need be made. No dignity need be brought. All I needed was £20. I considered, and dubiously accepted. What’s the worst that could happen? There were two rooms, with the wall been knocked down between them. The first room that we entered was almost empty, only for a few empty boxes. With no furniture, no decorations and cold breeze-block walls, I was fairly certain that I was about to be kidnapped. I was absolutely petrified. There was nobody else around but me and another lady in a basement with the door firmly locked. I had never met this woman before in my life. Heck, I didn’t even know her name! That was it. I was doomed. The second room had two hospital-like beds in it, with a pale green pull-over curtain between the two for some ‘privacy’. Maybe she was going to tie me to the bed and force feed me worms? My mind was going wild. I have a ridiculous imagination as it is, without adding crime-scene interior décor to the mix. My lady told me to get onto the bed. I duly did so. Oh wait, how’s this going to work when I’m fully dressed? Oh isn’t this just embarrassing. I stand back up and awkwardly shuffle around trying to remove my underwear. Thankfully she gives me a little paper towel to preserve my ‘modesty’. Phew. Even just as a gesture, I did feel slightly better for not baring all in one go. She then talked me through some hairstyle options, then activities commenced…. The act of waxing, ladies and gentleman, is not altogether pleasant. I’ll not go into too much detail but even the wax itself came as a bit of a shock. Why, lady, are you putting intolerably hot wax on my lady parts? COOL IT DOWN YOU FOOL. The whole experience was spent with me gritting my teeth and staring at the ceiling – if you think I was going to watch that then you’ve another thing coming! If I can’t see it, she can’t see it. It’s a well known method of falsely preserving modesty in your head. Though in reality, we all know she’s definitely seen it. Things were all a little sore down that way after my waxing-marathon, so my lovely waxing lady offered me some oil. Yes please, that might soothe things a little. I put out my hand for her to put some oil on…but no, that’s not how proceedings were to unfold. She put the oil on her hands, rubbed them together and then started slathering it around. Yes, she did a very good job at getting all of the affected areas. Why though are your oiled up hands rubbing my lady bits? That was not on the menu! I’d have expected it to be on some cotton wool if she were to do it herself. But no. I was to be left baffled. After awkwardly pulling on my underwear and jeans, I gathered up my belongings and skulked up the stairs behind her. I wasn’t quite sure what to make of all this. I had miraculously managed not to be kidknapped and force-fed worms, instead I’d experienced something really quite bizarre. I paid my money, left a small tip, and left. When I arrived into university I told my friend Laura. She thought this was the best story she’d ever heard. Being waxed in a basement of a salon in a reasonably rough part of town was enough to draw laughter, when I mentioned the oil…that was it: tears of joy danced down her face. It was a pretty odd experience I’ll admit, but I’m able to laugh about it now. I hope that your first waxing experiences were less ‘off-beat’!